Spring has finally sprung and there are many great things happening in the Social Science Department. 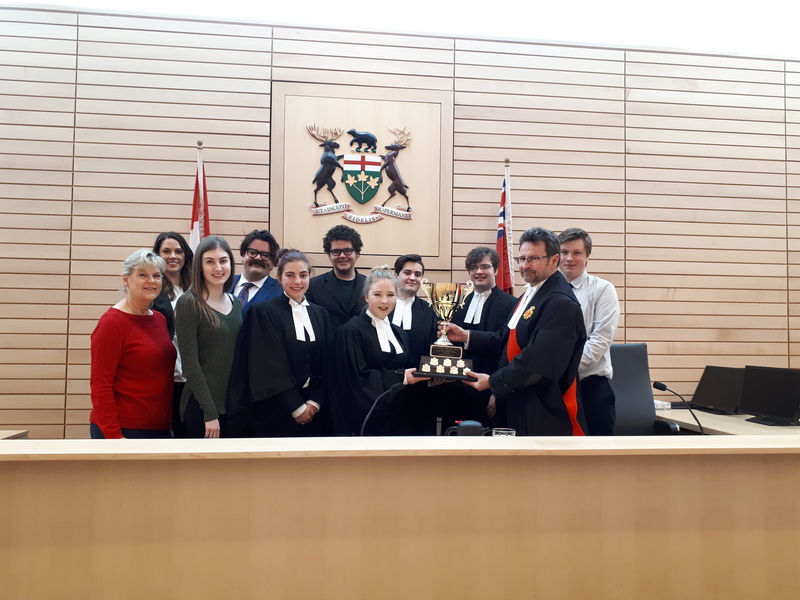 In early April, a number of our students led by Ms. Cavar participated in the annual Mock Trial held at the Thunder Bay Courthouse. The trial was presided over by a real judge and the students, who filled the roles of attorneys, witnesses, jury and the accused, were assisted by practicing lawyers. Our students faced off against students from St. Ignatius, and when the verdict was pronounced, St. Patrick emerged victorious. They were able to convince the jury to return a “not guilty” decision. Congratulations to Ms. Cavar and all the students involved for their hard work! St. Patrick Mock Trial Team, April 2018. The teachers in the department were very fortunate to be involved in a new instructional initiative this year, known as NPDL-New Pedagogies for Deep Learning. Innovative lesson ideas were brought to the classrooms, some of which were described in previous newsletters. 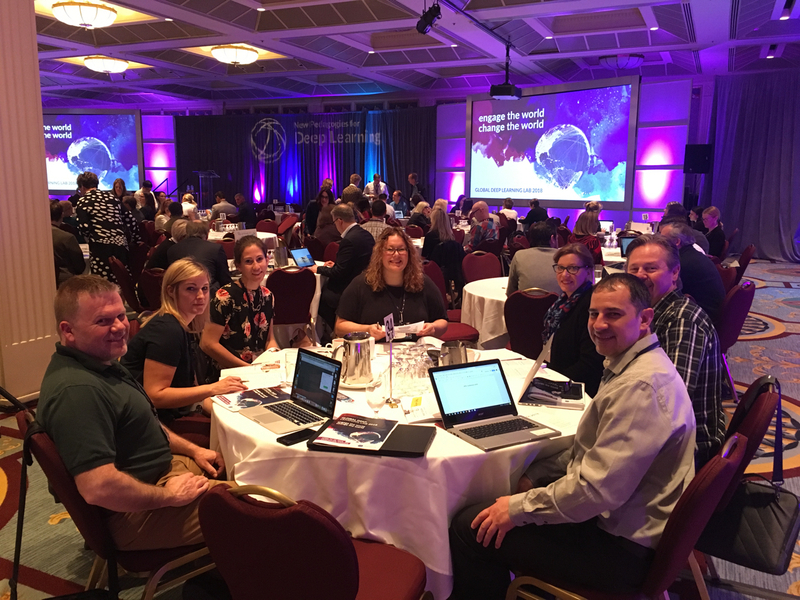 A number of teachers in the department were selected to attend the NPDL Global Deep Learning Lab (DLL), which was held from April 16-18 in Vancouver. It was an amazing opportunity to see what other educators are doing in their classrooms, who hail from across Canada, the United States, Australia, Uruguay and many other countries. We are excited to share these ideas with the students and our colleagues to enhance the learning experience. NPDL Team in Vancouver, April 2018.